Hi there! 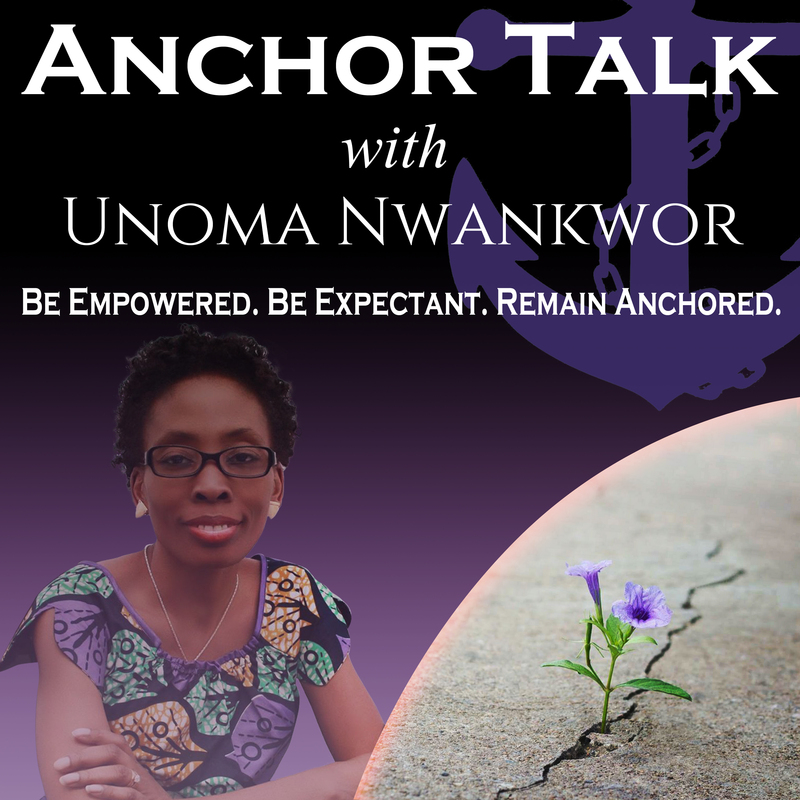 It’s another Tuesday and as you know another episode of Anchor Talk is now available. Have you subscribed yet? Viewers are enjoying the quick burst if inspiration to help you glow and manifest your inner light, to help you navigate the dark places. A lot of people give up on their dreams and desires for a lack of confidence. Their feeling of unworthiness can stem from a lack of confidence in themselves or God’s calling, God’s plan, or His time. Join me these next three episodes as we break down this worldly strongholds. Unoma: Who is Tolulope Popoola? Tolulope: Tolulope Popoola is an author, flash fiction writer, publisher, writing coach, course tutor and a mixture of all things that add up to a “literary entrepreneur”. She is a wife to a certain Mr. Popoola, and a mother to two wonderful people. She is a reader and lover of words. She is saved by grace and extremely blessed. She is passionate about helping people to fulfill their dreams. Tolulope: God. A passion to fulfil my purpose and reach my potential, to impact people positively, to leave the world better than I met it. Tolulope: In my head, these are not separate things, everything I do fits into my life and my purpose. I’m blessed to have the ability to work from home and control my schedule. 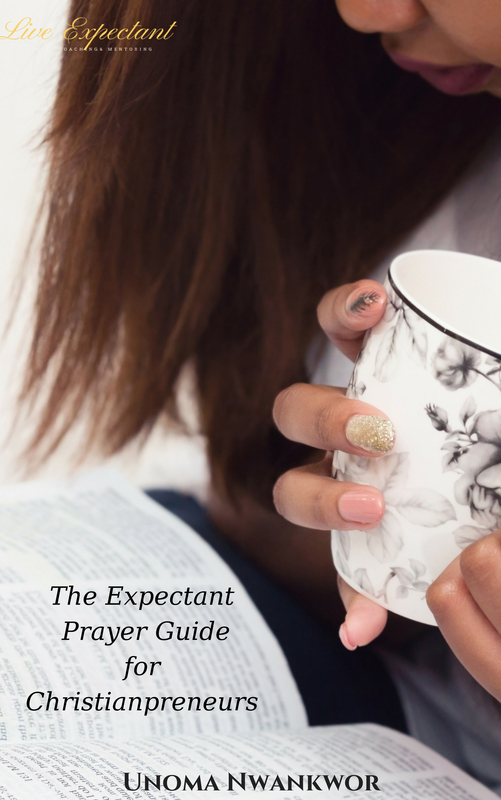 So if I want to take a couple of hours to pray, praise and enjoy God’s presence, I can. If I need to do motherhood things, I can, and if I need to work around my other commitments, I can too. On a practical level, I have a work calendar and a very detailed spreadsheet, plus a to-do list that keeps me organized. These help me not to get overwhelmed when I think of all the tasks that await me. Tolulope: It was back in 2008 when I started writing my first novel. I had gone quite far, and was nearly done with the novel, when something happened. I came across a review of “In Dependence” by Sarah Ladipo Manyika and the story described sounded eerily similar to my work-in-progress. I immediately had to go and buy a copy of the book to find out. And when I read it, my heart sank. It was as if I was reading my own story, published with somebody else’s name on it. How did this happen? Did someone hack into my computer to steal my manuscript? I mentioned it to my writing mentor and she told me that it’s actually quite common for two writers to have similar ideas and similar storylines, it’s just a matter of who got to the finish line and published first. I researched it and found that it was true, and there have been cases where an author is sued for stealing a story that somebody else had published before. Since I didn’t want any trouble, I finished writing the novel, and filed it away. I was very sad and depressed for a while and even stopped writing for a while, but my mentor encouraged me to get over my disappointment and start working on a new idea. Tolulope: I remember who created me and called me to walk on this path. God has proven Himself faithful over and over again, both in the little things and the big things. When I’m in a dark period, I encourage myself by thinking back to the times when I had a breakthrough, or when God showed up for me at the last minute, or when He spoke to me through the darkness and the fog cleared up. I know (even when my emotions are all over the place) that somehow God still listens to me, and He is working things out for my own good. Tolulope: I have big dreams and goals that I want to accomplish, and I know that these dreams were given to me through divine inspiration. As long as I stick with God’s plan for my life, everything will work out well. I’m learning to let God handle the “how” and just let Him lead me. Tolulope: I carry on a constant conversation with God in my head, I’m always asking for help, advice, wisdom, strength, etc. When things get really overwhelming, I stay in bed and listen to worship songs and pray. Tolulope: Start sooner. Don’t worry about self-doubt, most people battle with it. Go ahead and do your thing anyway. Tolulope: I’m working on a novel and a collection of flash fiction. I’m also going to be doing quite a lot of teaching, coaching and publishing work for other aspiring authors @ Accomplish Press. I hope you enjoyed Tolulope’s enlightening interview. Find out how to get in contact with her below. Before we do that however I wanted to remind you of a couple of things. Tolulope Popoola is an award winning Author, Writing Coach and Publisher. She is the author of “Nothing Comes Close”, a contemporary romance story set in London, Milton Keynes and Lagos, and also the author of two collections of flash fiction stories, “Fertile Imagination” and “Looking For Something”. She has written extensively for many magazines and publications, including Brittle Paper, The Creative Penn, Flash Fiction Ghana, The Mantle, Magunga, The Travelling Yeti, etc. Tolulope is the founder of Accomplish Press, a coaching, consulting and publishing company that specializes in providing services to support aspiring authors. She was given a special Award of Excellence at the 2016 Nigerian Writers’ Awards, and has recently been shortlisted for Diaspora Writer of the Year for the 2017 awards. Tolulope was second runner up at the Women In Publishing (UK) Awards 2012, for the New Venture Award for pioneering work on behalf of under-represented groups in society. Tolulope’s first novel Nothing Comes Close was named “one of the best books of 2012” by Africa Book Club. She has also earned the nickname of “Africa’s flash fiction queen” for her unique ways with writing dramatic short stories. Welcome to another edition of Flashlight Moments in the Dark. I hope you have been keeping up. This week is our third week and I have the pleasure of interviewing Norma L Jarret. Me: So tell us, who is Norma L. Jarrett? Norma: Norma Jarrett is a believer who seeks to encourage and inspire through the use of her creative gifts. Me: What is the driving force in your life? Norma: My desire to encourage and inspire women and to help them understand how fearfully and wonderfully he has made us all. Me: How do you balance family, faith and your passion/business? Norma: It is not always easy. I think you have to continuously commit it to God. Especially when you know you have not honored your time as you should. God is the great balancer. Me: What was the single most devastating experience/challenge in your life and how did you overcome it? Norma: Losing my mother shortly after I graduated from college. She was my best friend. (next to my father) Her death was so unexpected and heart breaking. I can’t say I have completely gotten over it but it forced me to grow closer to God. I wandered around plugging that whole with accomplishments but on He could fill that space. Me: How do you build confident expectations in your dark moments? Norma: On the professional, I talk to God a lot but also have a few trusted sounding boards. I read the word and other motivational material. I pray and use affirmations and I try to stay around passion infused people. On the personal side I journal, stay connected to spirit filled but balanced friends, listen to praise and worship and attend church. I do lots of “self-talk” and remember everything is a season. It is also wise to have a great prayer partner. Me: How does your understanding of the future give you hope for the present? Me:What does it look like practically for you to “turn to the cross” in your business/ministry. Norma: It means quiet time for me. I have to shut everything down. By nature I am a socialized introvert so turning inward comes natural. It means getting up a little earlier to pray and meditate or something simple as sitting outside and soaking up nature. Me:What advice would you give your younger self? Norma: You are so much smarter, together and more beautiful than you give yourself credit for. Don’t ever let anyone else assign your value. Have fun and enjoy every experience in life. Me:What can we look forward to from you this year? OR What are you working on? Norma: I am working on two non-fiction books. Place and With Dignity and Grace. Bio: Norma L. Jarrett, J.D. is the award winning author of Randomhouse novels, Sunday Brunch, Sweet Magnolia and The Sunday Brunch Diaries (Essence bestseller) and other works: Bridal Brunch, Brunchspiration, Christmas Beau, Love on a Budget, Valentine’s Day…Again??? and Salt and Sky. Her work has been featured in USA Today, Essence, Ebony, Publisher’s Weekly, Rolling Out, Southern Living, Upscale, Hope Magazine and other media. Norma has been a featured guest on The Yolanda Adams radio show, ABC 13’s Crossroads, Outlook Houston, Majic 102, Atlanta’s V103 and other media. Among other honors, Ms. Jarrett has received a Certificate of Congressional Recognition for her literary work. She has served as a panelist and/or speaker at events such as the Baltimore Book Festival, Miami Book Fair, Faith & Fiction Retreat, Harlem Book Fair, the Essence Music Festival, Christian Book Lovers Retreat and other venues. Ms. Jarrett is a graduate of North Carolina A & T State University and Thurgood Marshall School of Law. Norma is also a member of Alpha Kappa Alpha Sorority, Inc and a founding member of The Anointed Authors on Tour. She is married and resides in Houston, Texas, where she attends Lakewood Church. Visit her website at http://www.normajarrett.net. Hey! And we are back with another edition of Flashlight Moments in the Dark. I hope you are caught up. If not, you really need to check it out. Today however, I want to introduce you to my sister scribe. My aburo (sister) Yejide Kilanko. I met Yejide over the world wide web and we clicked almost immediately.Distance, she lives in Canada, didn’t even make a difference. lives in Canada but over the net we just clicked. Then God made it possible for us to met when she visited the U.S some years ago. It was awesome. I cant wait for you to read her story. Unlike my past guests, I didn’t do an interview, I just allowed her to tell you her story. Read. Enjoy and Be Blessed. ************************************************************* My name is Yejide Kilanko. I’m a writer. I still smile at my computer screen whenever I type those words. It’s a beautiful thing when your passion and purpose fuse. Without a doubt, I have been the recipient of God’s unmerited favour. If you were to ask me to identify my life’s driving force, I would say it’s the desire to be obedient. Less of me, more of God, as I grow my faith and find balance in all I do. Thanks to my stubborn personality, I tried to do it all on my terms. The word ‘tried’ captures my repeated failures. One thing about failure is that it makes you feel vulnerable. In my case, that sense of vulnerability makes me receptive to direction. God’s direction. Those who know my story would probably say it must have been the cancer diagnosis. It is not. The challenge I’ve lived with since I was a little girl is anxiety. You can call it worry, fear, unease, agitation or angst. I see your frown. Yes, I just said anxiety is more devastating than cancer. The key thing here are the words, for me. Anxiety induces a sense of panic, magnifies every problem and messes with my heart and head. Above all, it erodes my faith. And since I can’t please God without faith, that makes it a huge challenge. Now that I’ve told you about the challenge let’s talk about the flashlight moment. I hope you’re not claustrophobic. I need you to lend me your imagination as I walk through an underground cave. Deep breaths. Here we go. It’s a ‘you can’t see your hand in front of your face’ kind of dark. It makes me grateful for the silver flashlight in my grasp. I scrunch my nose at the rotten egg smell in the air. As the shadows around me transform into seven-foot giants and carnivorous dinosaurs, I feel the rocky ground tremble. With every step, my shoes sink into a carpet of bat droppings. I’m yet to run into one. But I can hear the flapping sounds of their wings. The thought of them coming close to my face makes my heart race. I feel like screaming. I don’t. I know that if I were to scream, the echo would only come back to haunt me. I clamp my lips and move only as far as the range of the flashlight’s bright beam. When something slimy falls off the cave roof and lands on the back of my neck, I don’t lecture myself when I pee a little. Remember that I’d told you fear messes with the heart and the head? Unfortunately, the bladder doesn’t get a pass. If you let fear take over, it will affect every part of your life. I’m sure you think that this is the point where I’ll tell you how I overcame this debilitating challenge. I can’t because I haven’t. My flashlight moment isn’t one where I’ve made it out of the cave into the sunshine. I’m still walking this journey on a daily basis. But, instead of relying on manmade batteries to power my flashlight, I’m relying on God’s word, His grace, to lead me through. Sounds easy? It’s not. You still have to walk through the pile of bat droppings and any other thing life throws in your path. 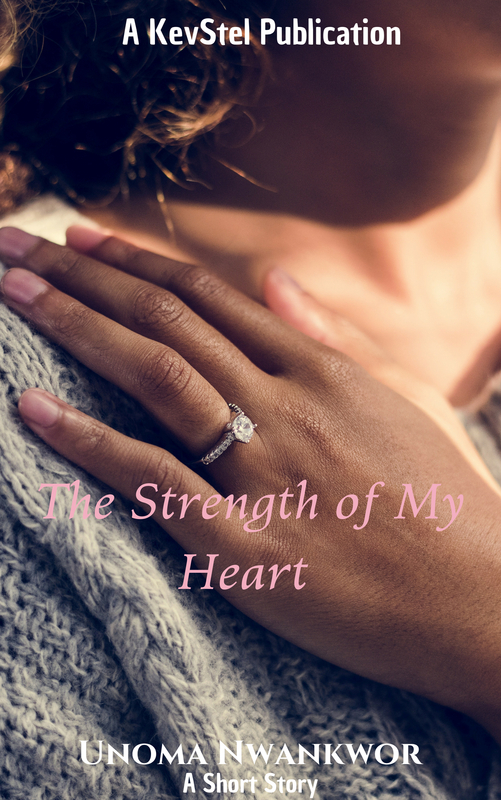 So, here I am, right in the middle of the junk, building up my confident expectations, my hopes, as I hold on to the flashlight and sing “Take My Hand, Precious Lord” at the top of my voice. This is my Ms. Mahalia Jackson moment. I’m elated when those fierce shadows transform into harmless butterflies. Joy turns my timid steps into a swagger. No matter the challenge you’re facing today, the season of life you’re in, please, hold on to that flashlight, to God’s word. It is a shelter. Keep taking those steps. Because God is with you, there’s the assurance that you will make it back into the light. And when you get out of that damp cave, your loved ones will be waiting with spicy Jollof rice and fried chicken. As a food lover, I had to add that. Don’t be afraid to get close to your search party. Their noses would not care about the whiff of you know what when they give you big hugs and say, welcome back, we missed you. I’m going to let you walk ahead now. Thanks for being such a great travel companion. See you out there. Take My Hand, Precious Lord. Lead me on to the light. Don’t forget my Anchor Talk Podcast launched today. To Listen, click here. Also don’t forget to get your FREE Motivational Guide on the home page of this blog.